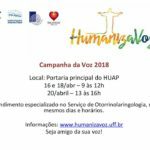 Description: To celebrate the World Voice Day, the HumanizaVoz Program in partnership with the Otolaryngologists’ Service of the Universidade Federal Fluminense invite you to participate of a day of vocal health promotion. This event is directed to the general public. We'll count with speech therapy and otorhinolaryngological atendence. Be a friend of your voice! 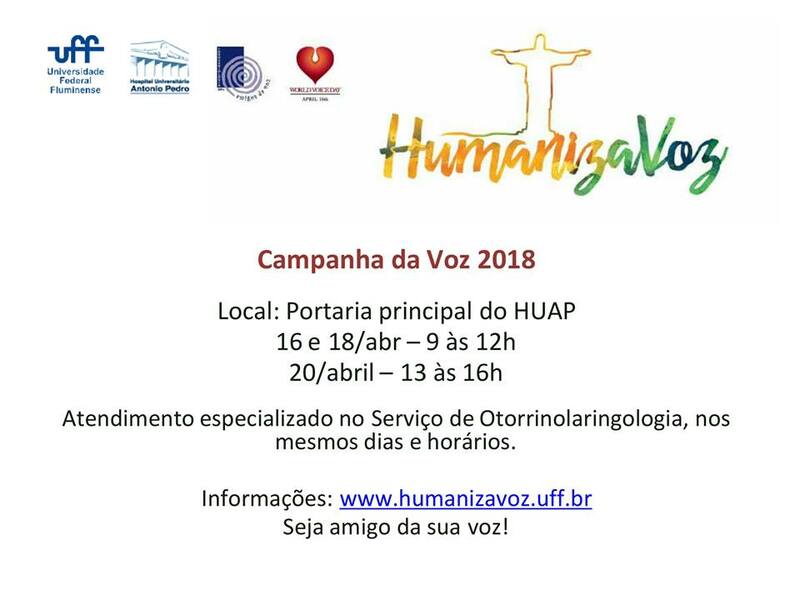 Performer/s: Programa Humaniza Voz and the Otolaryngologists’ Service of the Universidade Federal Fluminense.